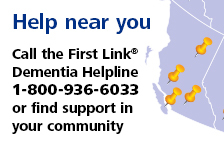 Celebrating the holidays | Alzheimer Society of B.C. Has the holiday season become more stressful for you? This workshop looks at ways of including the person with dementia in preparing for the holidays and in the celebrations. It also presents strategies for minimizing stress for both the person with dementia and the caregiver.